Contents of plenty of vitamins A and K already make celery into a very valuable vegetable. Celery, which is a natural source of many minerals and many other useful elements in other vegetables, is also important because it has very low calorie like spinach. Celery, which is a very high quality antioxidant, is mostly grown in Mediterranean and Aegean regions, but located in neighborhood markets all over country. This source of potassium and sodium, which you can easily find almost anywhere, contains only 16 calories from a large portion of celery 100 grams. When this is case, especially if you want to weaken your stomach with celery, 3 to 4 times a week to eat celery food, salad or soup to make the most of food is right. Prevents inflammation formation in body! Celery is rich in antioxidants, vitamins and minerals. In this context, it is possible to say that celery consumed regularly prevents formation of inflammations in body and that it also cures and destroys existing inflammations. Supports health of nervous system! The essential oils, minerals and abundant magnesium contained in celery have a calming effect on nervous system. 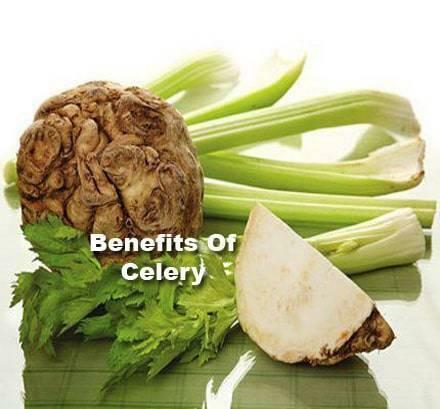 This calming feature of celery ensures healthy functioning of nervous system. Especially in order to eliminate stress caused by stress, would be reasonable to benefit from celery as a natural treatment. Itbalances level of acids in brain. Especially in evening, consuming a celery stem as raw helps to get a comfortable sleep. 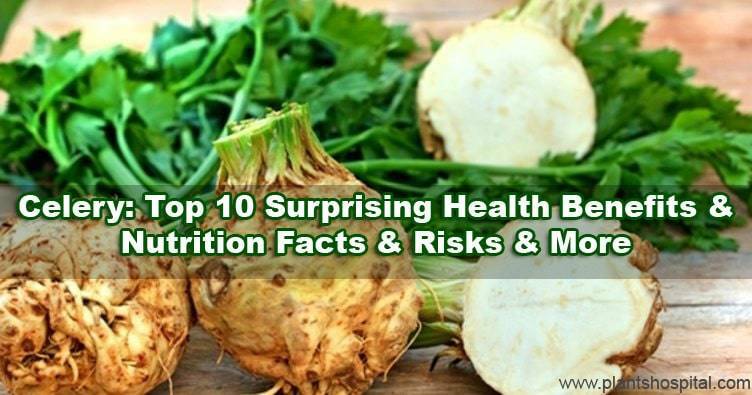 It is a natural nutrient rich in fiber and contains plenty of water. As a result, celery, which contains both fiber and water, helps to remove unnecessary substances, wastes and harmful substances from body easily. In this context, immobility and drying in intestines causing constipation can be eliminated by regular consumption of celery. However, it is important to underline that celery has diuretic properties. In this respect, is not recommended that people who have diarrhea consume celery until is resolved this problem. Healthy eyes means to eat rich in vitamin A. 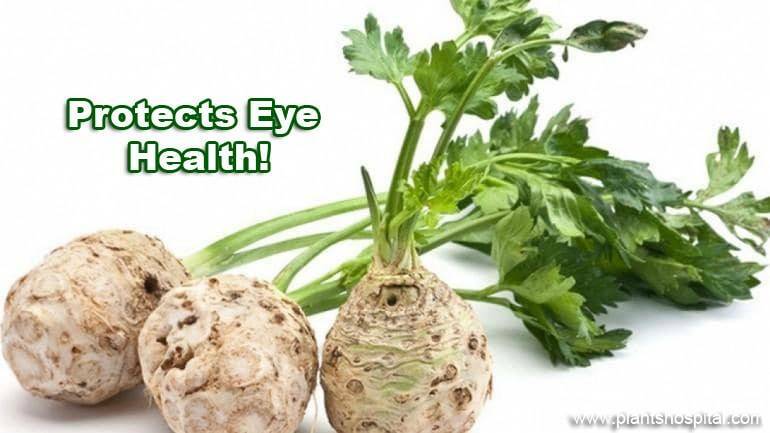 In this respect, use of 1-2 celery stalks per day is recommended to prevent visual problems and eye degeneration. Of course, it is used as raw celery in salad is also important in order to get full A vitamin. There is a component called ‘Buttylphthalide’ in celery. This article is very effective in keeping ‘bad’ cholesterol, which is cause of many diseases, at healthy levels. According to a study conducted by University of Chicago in this context, people who consume 2 celery stalks per day can lower their bad cholesterol to desired level. Of course, This plant reduces this bad cholesterol, also prevents emergence of high cholesterol due to emergence of other diseases. Celery contains a component called phytalid, which contributes to a healthy flow of blood. As a result of regular consumption of celery, high blood pressure has decreased and blood pressure has been observed to be normal. May be solution of sexual problems! There are some scientific studies that some of components of celery contribute to healthy sexual life. For this, experts recommend consuming 1 to 2 raw celery stalks per day. A scientific study at University Illinois on benefits of celery revealed that a compound called luteolin found in celery has ability to prevent cancer. The presence of this component in celery suggests that celery can prevent proliferation of cancer cells. According to results of this study, regular consumption of celery; reduces spread of breast cancer cells and reduces risk of developing breast cancer. Very effective sedative, pain reliever, antiseptic, antiallergic and other therapeutic. Ulcers, gastritis, indigestion, loss of appetite, helps in treatment of various diseases related to digestive system. Functions of liver and bladder. Regular consumption of arthritis relieves pains and relieves swelling. Prevents pre-vision, protects right eye. It has positive effects on point of brain. Help burn fat and lose weight on window. It is very useful for people who want to be healthier and healthy. People who have normal health conditions have not seen any damage to celery. However, as with all other beneficial foods, excessive consumption of celery can lead to some side effects, health problems. In this regard, is useful not to consume more celery than one portion in one day and two meals per week. People who have a disease or who use a medicine regularly should consult their doctor before consuming celery. It contains plenty of fiber and water to help digestive organs to work faster and has diuretic properties. In this respect, celery can be a natural treatment for people suffering from constipation. Therefore, is recommended that people who have diarrhea should give up consumption of celery until is resolved this problem. 1.) This plant rich in nutrients and can cause unhealthy and excessive consumption of raw food, diarrhea, gas and abdominal pain. 2.) There is no sufficient study of effect of celery consumption on pregnancy and breastfeeding periods. 3.) In this respect, is recommended that pregnant women and nursing mothers should consult with their doctor before eating celery. 4.) It is a nutrient that is very effective on nervous system. In this respect, patients who are prepared for any surgery are advised to stop consumption of celery 1 week or 10 days. 5.) Due to excessive consumption of celery, excessive intake of vitamins can cause some health problems in liver and digestive system. 6.) To benefit from above-mentioned benefits of celery and much more, recommendations on amount of consumption should be taken into consideration. 7.) When we counted faults of celery, we considered that you chose the most healthy, the most natural and the finest celery. 8.) When you choose celery from markets or markets I suggest you buy celery which is steep, root is not soft, leaves are fresh and crispy. And your celery should be dark, not white.